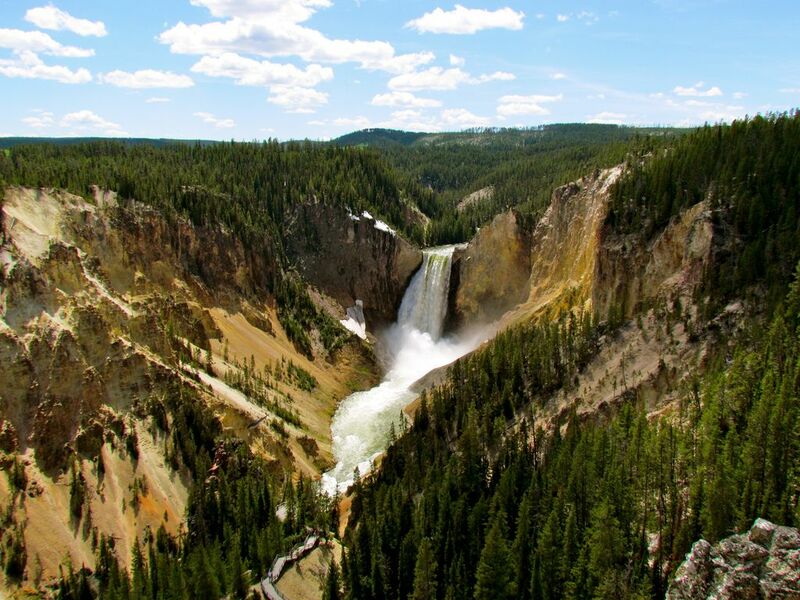 Yellowstone attracts tourists from around the globe. The best way to experience this one-of-a-kind National Park is in an RV. 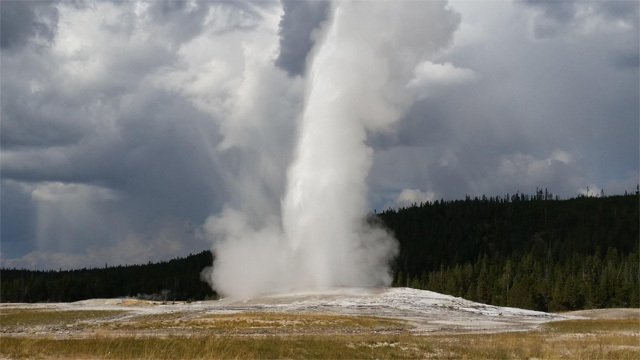 The benefits of traveling in an RV are really highlighted in a Yellowstone excursion. For instance, limited lodging within the park inhibits a custom itinerary, whereas an RV allows you to be where you want, when you want, with everything you need. Another feature the RVer benefits from is hosting capacity. RVs easily seat more people than most vehicles, and definitely more comfortably. 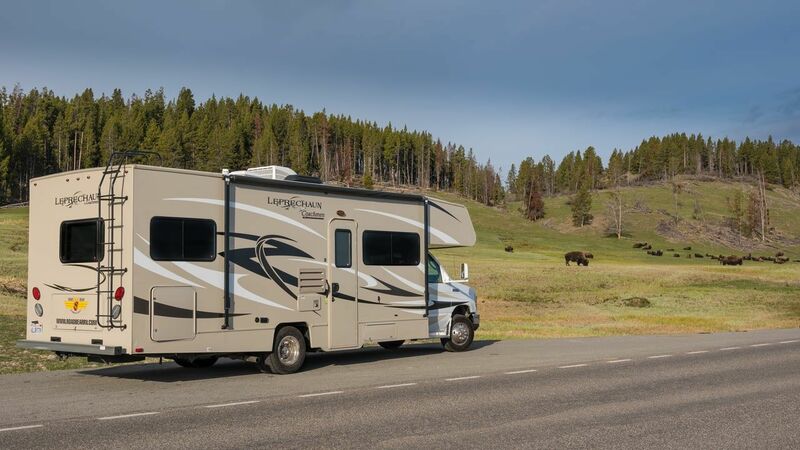 With most seatbelts around a table or on the couch, the conversation and sightseeing in Yellowstone cannot be beat in an RV. 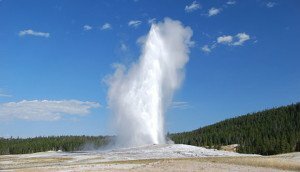 There are many unique things to consider when planning your trip to Yellowstone. The first is the layout of the park. 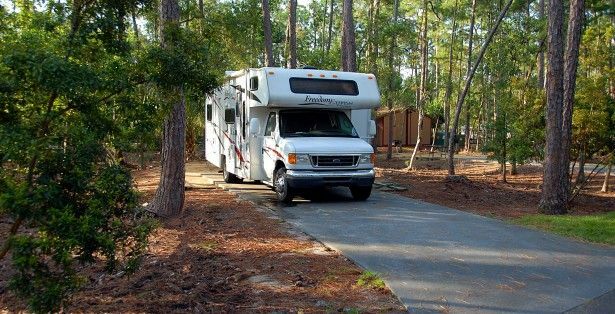 Because it is made up of winding roads, that can sometimes be very slow moving due to wildlife, the convenience and benefit of being in an RV stand out. The restroom is readily available, which is especially important when traveling with young children. Another benefit of traveling through Yellowstone in an RV is simply that you have all access to any gear you might need. Instead of having to pull over and sort through luggage, yours is available anytime, anywhere. This aspect of RVing is why many of our customers love their experience. Additionally, RVing in Yellowstone allows for flexibility in your schedule. Often, when you arrive and get your plans going, it’s tempting to adjust them for various reasons. Either you’d like to explore an attraction but don’t want to miss lunch, prefer one site to another, or simply want to explore popular sites outside of Yellowstone as well. Traveling in an RV or with a travel trailer easily allows these adjustments. Access RV currently has two locations, Salt Lake City, Utah, and Jackson Hole, Wyoming. Both locations are great for Yellowstone vacations. 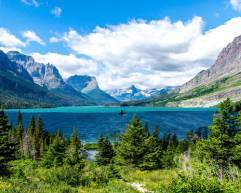 Picking up in Salt Lake and driving up through Wyoming or Idaho is ideal for international travel, extended vacations, and locals (surrounding states). Because the Salt Lake City location is just minutes from the Salt Lake International Airport, transportation to and from the RV pickup and drop-off is very easy. If you have extra time to spend outside the park, driving up from Salt Lake is nice because alternate routes offer the breathtaking beauty of the Tetons or a nice, cozy pit-stop at Lava Hot Springs. 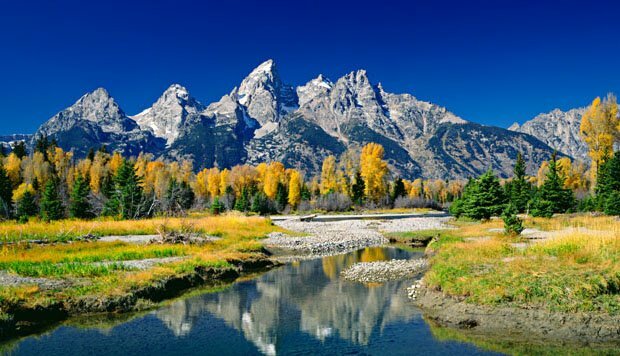 Jackson Hole pickups are ideal if your primary destination is Yellowstone and want to spend most of your time in the park. Access RV is the only RV rental agency in the area, and will help you get into the best RV to accommodate your unique plans and company. Known for its view of the Tetons towering over the lake, Colter Bay is a highly sought after campsite. 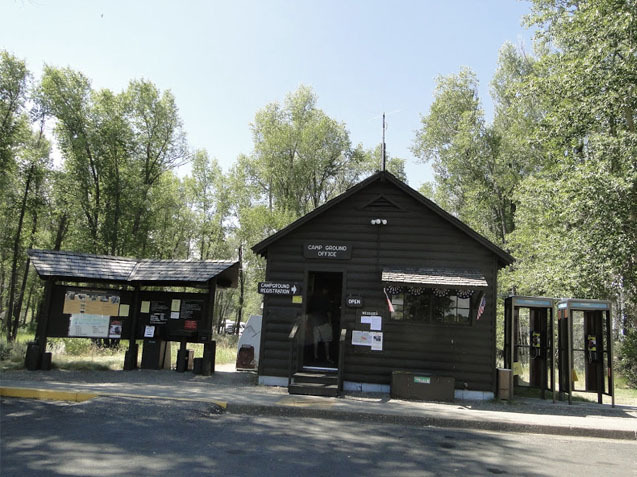 It is located just south of the Yellowstone East entrance, and this park does take reservations (which are recommended because it’s comparably small). To make an online reservation, you can click on this here. 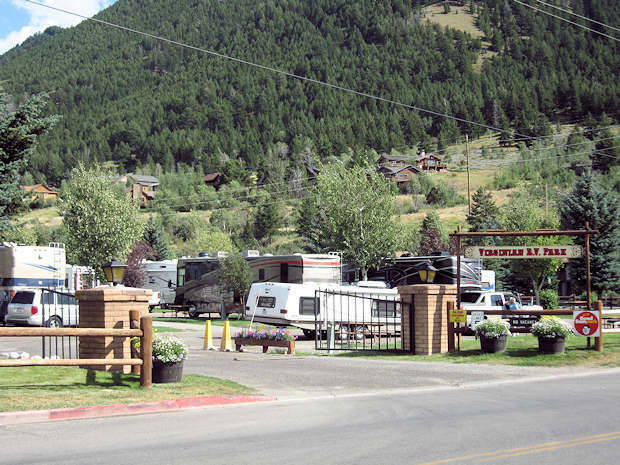 This campground is the only RV park with hook-ups inside Yellowstone. It is right along the Yellowstone River that feeds into Yellowstone Lake. Central park location and hook ups are the strengths of this campground. This is one of the very few parks that can accommodate 40 foot RV’s with 50 AMP hookups. Here is the link for reservations and additional information. This is located on the south shore of Yellowstone Lake, and contains over 400 campsites. There are both sun-filled or shaded sites available, so you will want to plan on confirming one or the other if you have a preference when you are making your reservation. 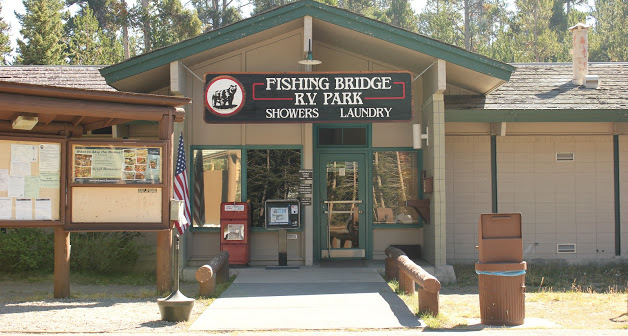 Some of the campsite facilities include dish-washing stations, public restrooms with running water, and pay showers (rates included in reservation fees provide 2 free showers/night). For additional information, please click here. The benefit to staying at ANY KOA in an Access RV rental is that your rate automatically receives 10% off!. This KOA Campground has an indoor pool (also heated after those chilly Yellowstone nights) and hot tub. It is also fully loaded with entertainment for your whole group with attractions like mini-golf, wifi, laundry machines, horseback riding (with a weekend rodeo), open fire pits, and even a convenience store. Many refer to it as the “Deluxe” campground, especially in a brand new RV from Access. Every morning and night, the “Patio Restaurant” cooks up a pancake breakfast and a BBQ dinner. 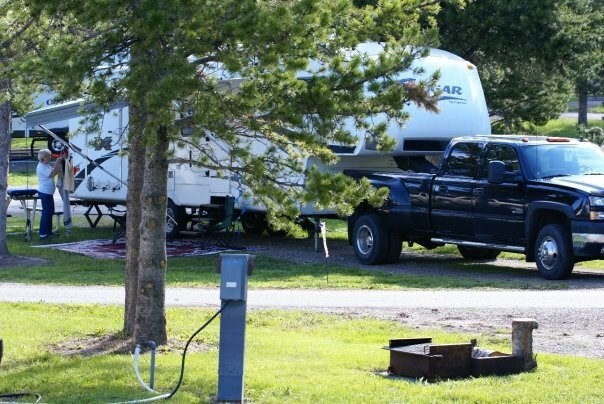 See here what everyone is saying about this campground, and take a virtual tour while on the website, it speaks for itself about the “deluxe” experience. You will find lots of activities for the family to do together. 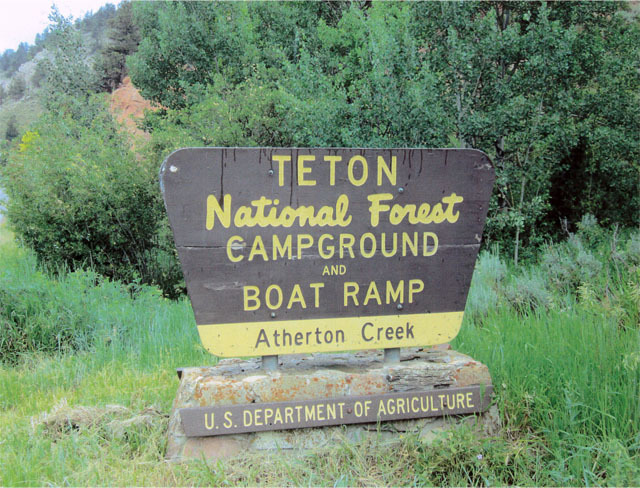 Atherton Creek Campground is located on Lower Slide Lake. 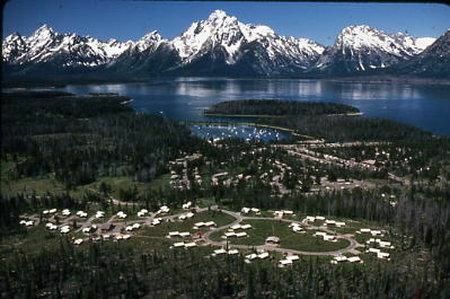 It is a very peaceful quiet campground that is still within very close reach of Yellowstone and Jackson Hole, Wyoming. Boating and fishing are welcomed at the campground, and it is also a great location for wildlife viewing. This campground does not make any reservations and has 20 sites. If you’re looking for a small getaway on your vacation, but still within reach of two of the most popular destinations, Atherton Creek Campground is a plus. For more information, click here. 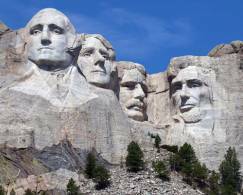 This is one of the most popular sites to stay at while in Jackson Hole in an RV. The motto is “A Taste of the Old West”, and they pull through. Each site has full hookups and with some grass, a picnic table and a tree for some shade. They have just about anything you can think of that you would want, even a Hair/Massage/Tanning Salon. For more information, you can visit their website by clicking here. 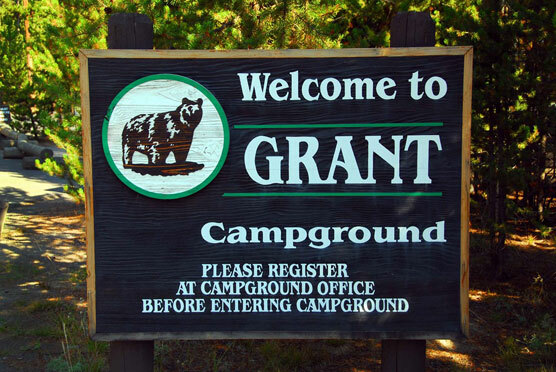 Gros Venture Campgrounds has a variety of sites and can accommodate a large RV. It is the closest campsite to Jackson Hole that’s also within walking distance to the river from each campsite. Reservations are only made for groups, otherwise it is first come first serve. You will want to be specific to which accommodations you’re looking for, since they have such a large variety of sites. Here’s the link to their page that will give you more details about each site.